Technology changes. We're here to stay. We're a seasoned team that sources the best software and hardware solutions for a diverse range of organizations. Servers, storage, or networking. Obtain the right mix of product for what is the cornerstone of your business. Whether cloud, hybrid, or on-premise, network infrastructure that is stable, secure and supported is the cornerstone of your business. To achieve best results, you need the right mix of platforms. We help demystify the technology and terminology to help get you to your goal. Deliver to the needs of today’s workforce enabling productivity and innovation. Tablets, through notebooks and desktops to workstations. Find the right devices to connect, communicate and collaborate. Today’s workforce benefits from agility, security and collaboration. Understanding what computer technologies work best for different users and workloads and how to better integrate user requirements with different units, allows you to better focus your spending and target workforce productivity and efficiency. Licensing today is a complex space. Simplify your choices and reduce your costs with the right guidance. We can help you demystify the complexity of software. Ensure compliance, reduce exposure, attain the best cost, and deploy effectively. All by procuring the right mix of product for your organization. 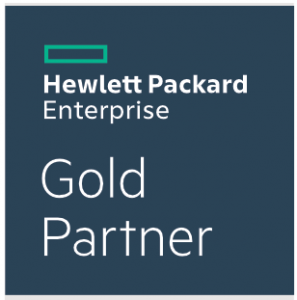 First HPE Simplivity deployment in Alberta. First HP 3PAR 9450, 500TB All Flash storage, architected, delivered and installed in Canada. First HPE branded Spectralogic tape library in the world. We manage complex procurement projects including enterprise multi-site deployments, inventory management, international deliveries, imaging, and emergency sourcing, without difficulty. Modern infrastructure solutions need to be flexible to meet the changing needs of business. It’s important to identify the key requirements of your organization and stakeholders. Understanding the challenges, limitations and pitfalls of different technology options is the domain of our IT experts. With PC Corp, strategy planning comes standard at the start of every project. Our seasoned IT engineers and project managers ensure you’ll have solid IT infrastructure today and for years to come. Gone are the days of a ‘one-size’ solution for the standard business. In today’s dynamic business environment flexible tools and systems are needed. Infrastructure systems need to be scalable, flexible and secure so you can have the confidence to move your organization forward. Our decades-long track record of enterprise success proves that we have the experience to imagine a flexible IT solution that will help drive your growth. To coin a phrase, our IT staff has been there and done that. Experience is a remarkable teacher – it allows our personnel to confidently and thoroughly assess your needs and create an elegant and efficient solution based on what has worked for other clients across a variety of industries. Our seasoned IT professionals understand the common pitfalls to IT infrastructure implementations so you can make decisions with confidence. PC Corp’s procurement team really has taken the time to understand our business which has really streamlined our purchasing processes. Such a breath of fresh air to work with PC Corp! - Teresa Popowicz, Black Cat Blades Ltd. Regardless of how complex your situation, we can help you. With our seasoned special projects teams, we help you navigate your infrastructure needs as well as challenges with remote access, virtualization, back-ups, collaboration and more.